Motors: 2 x CAT C15 Electronic motors with Elec controls @ 865hp each. 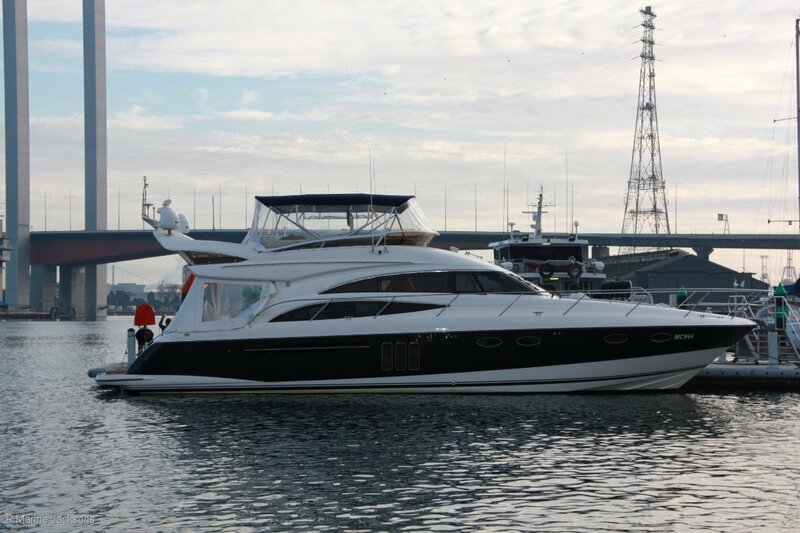 This one owner luxury Princess P58 is now for sale with features that make this particular vessel a one of a kind in luxury and performance. So if it's a Luxury European Motor yacht that you are after please give us a call as we think we have the boat for you. Saloon LCD TV/DVD with BOSE upgraded system to a Lifestyle 38 type. Add 350kg davit to rear transom. Ericcson W25 Wireless set up to saloon area for Wi-Fi connection. We are based in Melbourne at the Sandringham Yacht Club. This boat presents beautifully and well maintained.